Suitable for use in liturgies, prayer services, devotions and other celebrations in Spanish. If Spanish-speakers are a new and growing part of your community, Cantos para Celebrar makes an excellent supplement to your regular music program. Arranged seasonally and topically, the 69 hymns and songs include well-known traditional and contemporary titles for use in Advent, Christmas, Lent, Holy Week, Easter and throughout the year. 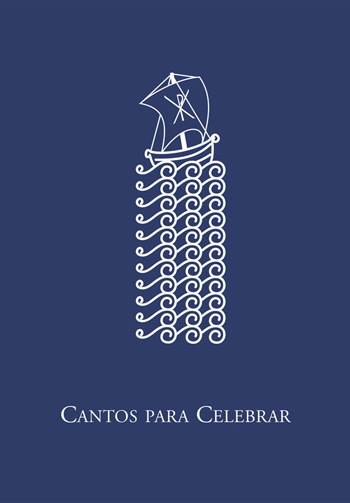 Suitable for use in liturgies, prayer services, devotions and other celebrations, the music in Cantos para Celebrar is -- with the exception of two bilingual songs -- entirely in Spanish. The booklet also contains music for rites, including funerals, eucharistic exposition, Christian initiation (RCIA) and reconciliation. The general, "cantos diversos" section lists songs by theme or topic, such as thanksgiving, quince años, love, discipleship, peace, church and songs to Mary. Short back cover allows you to insert the assembly edition into missal covers and hymnals with pockets on the inside back cover. Expand your repertoire with the music of Cantos para Celebrar!